Mamak basically means ‘uncle’ in the Tamil language. Dotted all over Malaysia are Indian stalls selling all sorts of Indian cuisines. 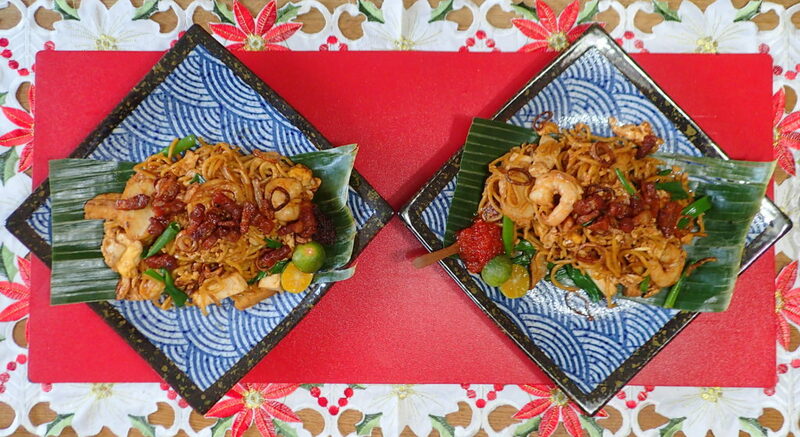 Among the most favoured is Mamak mee goreng. 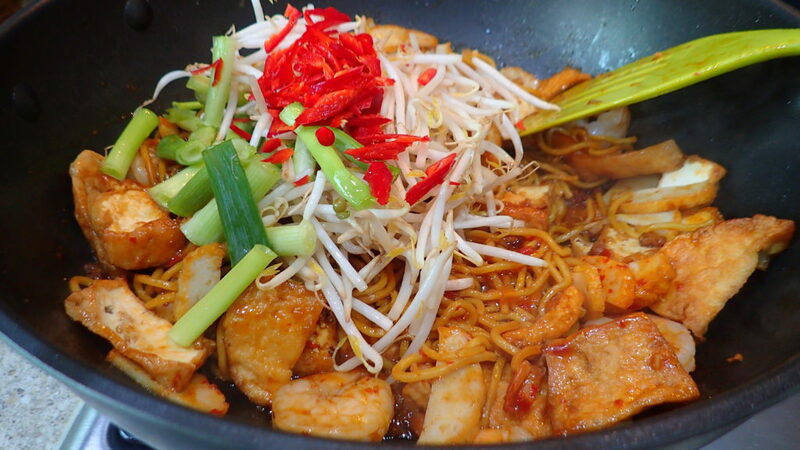 It is a spicy, sour and pungent tasty noodle dish that really warms up the belly and so moorish. If you live in a foreign land like me and desperate for a good mamak style mee goreng sometimes, you just have to cook it yourself. 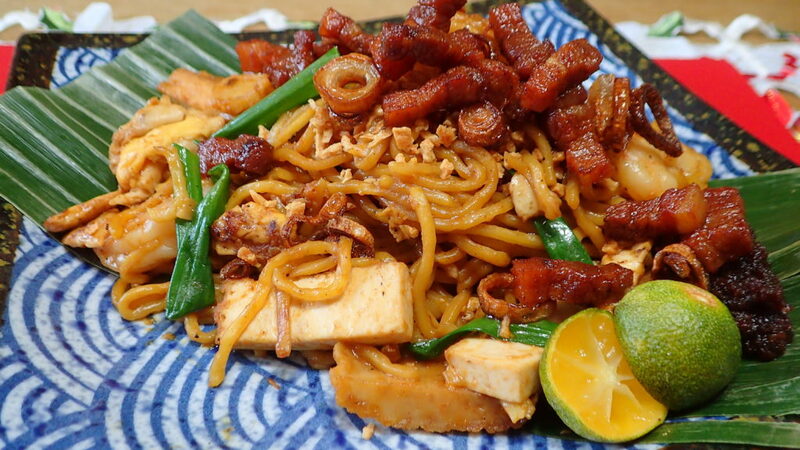 Mamak mee goreng is not something you can order from an Indian restaurant here in the UK. It is as I have discovered a fundamentally Malaysian Indian Muslim dish so there is no pork involve and mostly using seafood and potatoes plus firm tofu (beancurd). 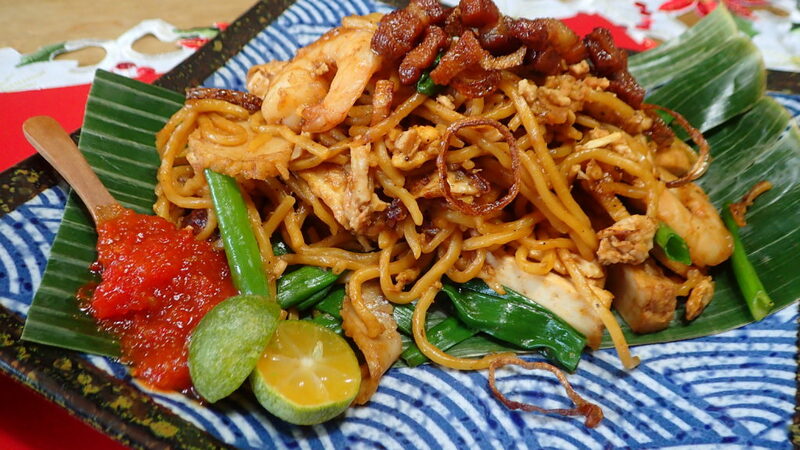 Hence most Indian restaurant do not know what I am talking about when I ask for Mamak Mee Goreng. Mamak ‘style’ Mee Goreng for me because I am using a reduced carbohydrate noodles which when cooked spicy taste no different than the ordinary egg noodles and I do not have potatoes in my portion. I have also added spring onions cause I just love the taste. 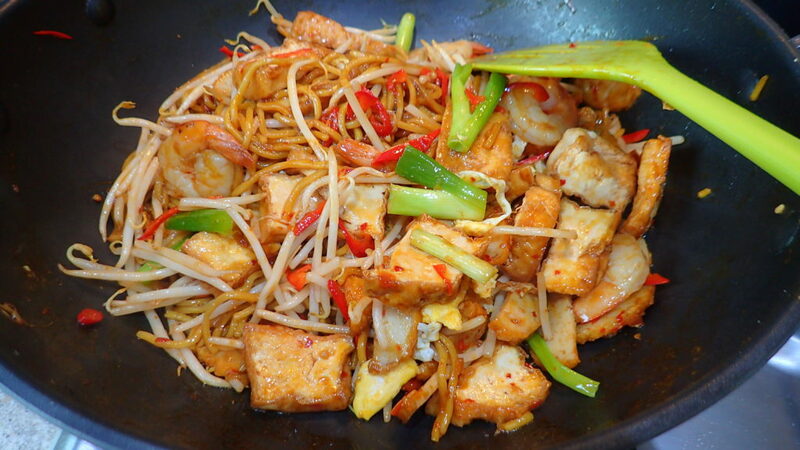 In a hot smoking wok, heat in 2 tablespoon of oil. Then fry your garlic and onions, your first 2 ingredients. Next add in the rest of the 5 ingredients and give everything a good stir before adding the noodles and sauces. Make a space in the middle of your noodles and add in the beaten eggs. Give everything a good turn of the spatula to mix. If too dry add a touch of water. In the last minute stir in your beansprouts just before serving. Sprinkle with ground peanuts, crispy shallots, fresh coriander and limes if desire. I do prefer mine a tad more sour. Please fell free to add or not some of the ingredients. I do not use sugar in mine and I prefer mine err to the sour side. It is up to you to taste and season. 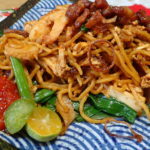 To me as long as your sauce contains chillies sauce, tomato sauce, dark and light soy sauce, turmeric, curry powder and the sour lime juice it is mamak mee goreng.